The novel is a true story of a girl born to a white plantation owner and his black mistress reflecting the times of the southern Civil War and the years of the promised Reconstruction. The author is the grandchild of the main character -Vyry. She heard the story in the family and researched the history of those times for thirty years to write what is known as the “first truly historical black American novel”. 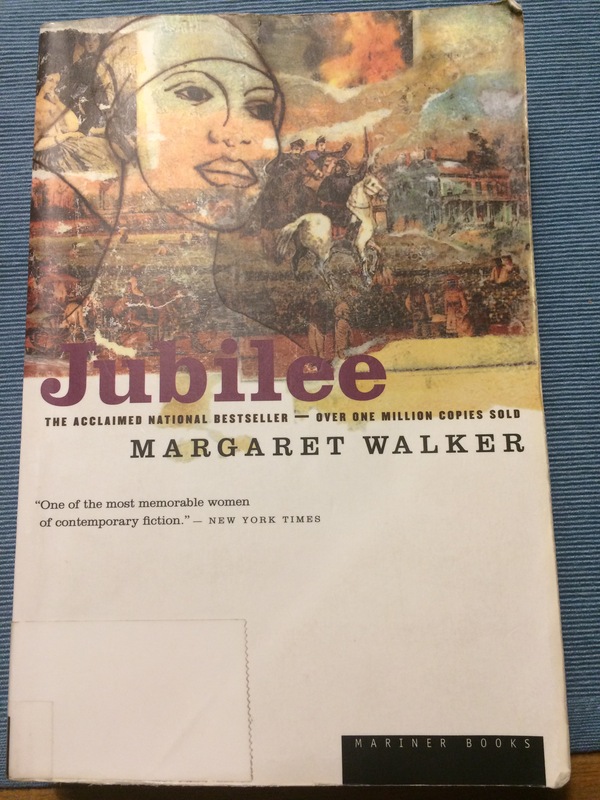 New York Times called Margaret Walker “one of most memorable women of contemporary fiction”. The novel has 3 chapters marking the stages of Vyry’s life interlinked with historical events of the Civil War, slavery abolishment and beginning of reconstruction. Vyry is a survivor who get through pain and devastation again and again to keep her family well and to live to see her dream of having her children go to school to learn to write and read. Through hurdles and horrors she kept her faith and the love in her heart. And this to me is the main message of the book. Her message to her son in preparation of his separation from her to go to school is worth a Nobel prize for peace, by me: “I wants you to be good and try to git along. Mind your manners and make friends with people. Friends and good manners will carry you where money won’t go. You is born lucky and it is better to be born lucky than born rich cause if you is lucky you can git rich, but if you is born rich and ain’t lucky you is liables to lose all you got. But you gotta use mother-wit long with education else you won’t be nothing but a fool. Get up in the morning early and say your prayers. Early bird catches the worm. And don’t you be mean and ugly in your heart toward nobody. Remember, sweet ways is just like sugar candy, and they catches more flies than vinegar. I wants you to be good and make a real man out of yourself”.